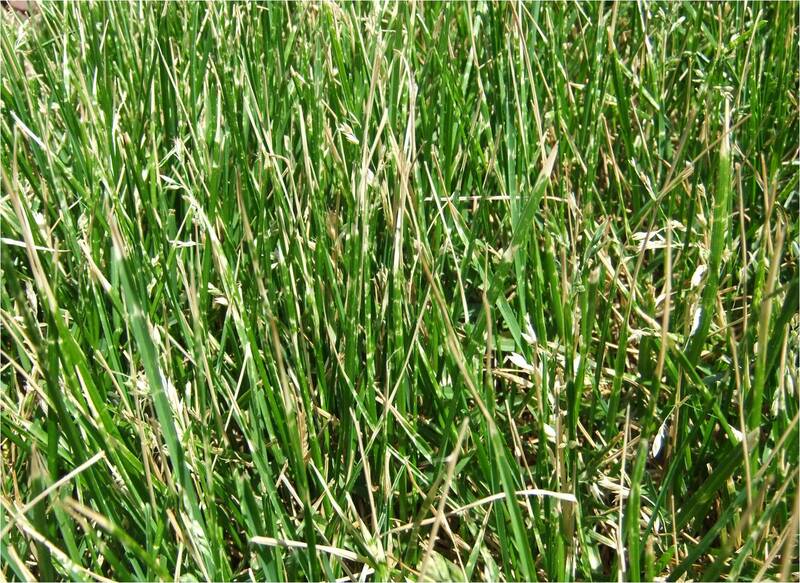 Lawn blow out is a consequence of high humidity, rapid growth, insufficient watering, and inadequate mowing. 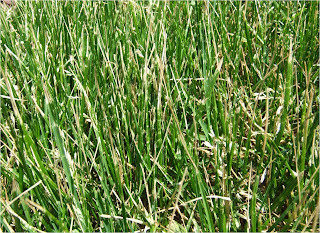 In the Greater Toronto Area, lawn will typically go into a state where blades of grass turn brown. Most would think that the lawn is dying due to cinch bugs, other bugs, or chemicals that could have burned the lawn. This is not the case at all. Lawn blow out could happen when people mow their lawn and do not realize that the grass has not been watered for a few days. Perhaps the person thought that since it rained days before, that it would be appropriate to mow the lawn even if the weather has been dry for days after. This causes stress on the lawn. Lawn blow out in the Durham Region will normally appear 24-48 hours after mowing. 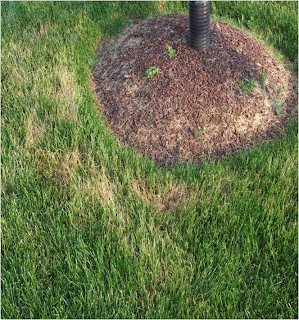 In Uxbridge and Oshawa, signs of a lawn blowout would be grass blades with brown tips in sunny areas as well as around trees. 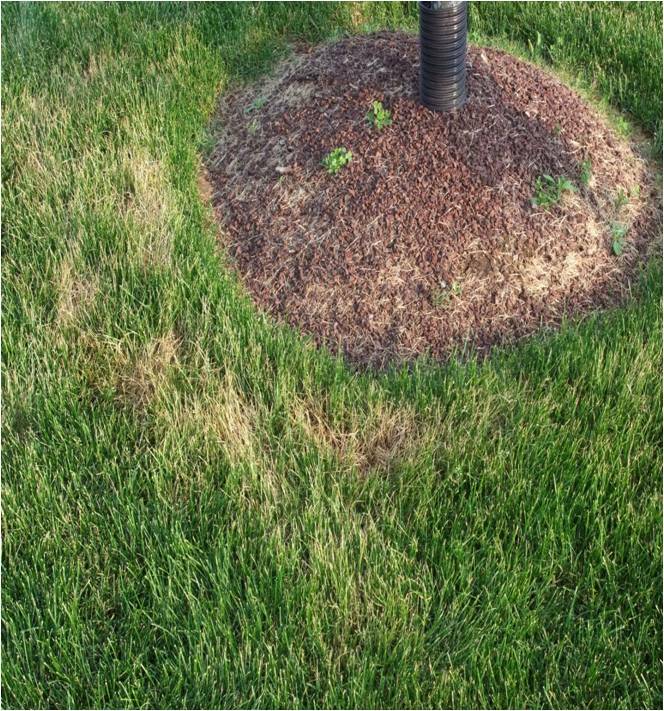 It can often show in mower wheels or mower swaths in shaded areas of the lawn. the grass show that the lawn is under stress. Ensure that the lawn gets sufficient water. Fertilizing should be done to ensure your lawn is receiving the proper nutrients. 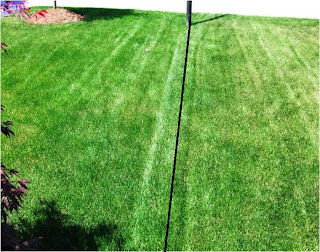 Lawns where methylene urea with slow release has been used show less drought stress than other types of fertilizer. See pictures. 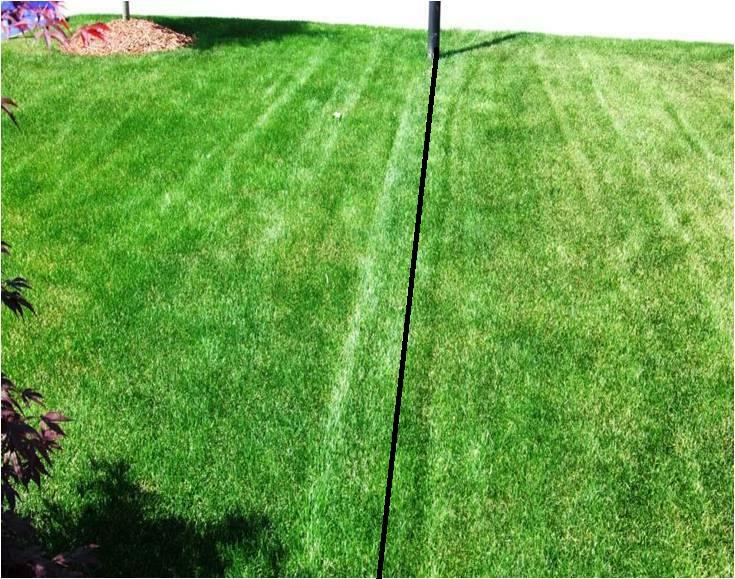 Proper care and maintenance for your lawn will allow you to enjoy a beautiful healthy lawn yearly.